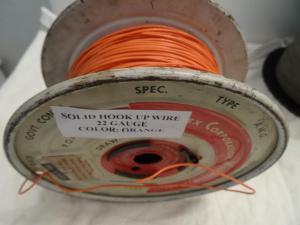 Length: Appx 500 feet on spool. Probably more like 700 feet. Weight is about 3.3 pounds. I have many more spools of USA wire. Will combine and give discount. Also see my ads for Yaesu FL-2100B and KW MURCH ant tuner.